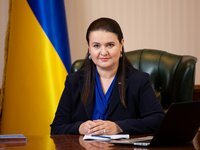 The technical mission of the International Monetary Fund (IMF), which has been working in Ukraine for the past two weeks, rather positively assessed the fulfillment of the Stand-By Arrangement conditions, but the estimating mission for it is expected only in May-June, Finance Minister of Ukraine Oksana Markarova has said. "If to look at where we are in the program now, then we are fulfilling the overwhelming part of things that we had to do," she said on the air of Radio NV on March 18. The minister of finance also said that the IMF technical mission on reforming the State Fiscal Service, which will be divided into tax service and customs service, is expected to come soon. At the same time, Markarova confirmed that the IMF, like other donors of Ukraine, in particular, the EU, the G7 states, is concerned about the decision of the Constitutional Court on recognizing unconstitutional of Article 368-2 of the Criminal Code of Ukraine on illegal enrichment. "Lawyers are working to understand how to get out of this situation. All our partners raise this issue, since combating illegal enrichment was part of the anti-corruption reform," the official said.